Since the start of the mortgage foreclosure crisis in 2007, the mortgage industry in the U.S. has changed significantly. And, according to a recent piece in the Wall Street Journal, one of the latest changes being noted is a push by banks for larger down payments on mortgage loans. So the question becomes, does the requirement of more money down equal fewer people buying homes? Down payments in 2010 are at an all-time high. An online real estate information base, Zillow.com, has been keeping track of median down payments required by lenders since 1997. This year’s median (22 percent of the home’s value) is the highest that number has been since the tracking began. The steep rise in required down payments has been especially rapid within the last five years. Sources report, that the 22 percent figure marks a doubling of the median down payment required from just three years ago. In other words, banks have reacted swiftly and decisively to the turmoil in the housing market. It seems that lenders have largely driven the push for higher down payments as a reaction to findings that homeowners with more of their money on the line (i.e. those who make larger down payments up front) are less likely to default on payments or go into foreclosure than those with less money at stake. The Journal notes that, because many potential homebuyers cannot afford a 22 percent down payment, there’s been an uptick in applications for mortgage assistance programs designed to help select groups of people. While owning a home has long been considered part of the “American Dream,” the real estate bubble’s devastating effects on the housing market has left some people questioning whether homeownership is in fact for everyone. In reality, when making the decision to buy a home you must be candid and honest with yourself. The consequence could be dire not only for you, but could have a ripple effect on the rest of your family as well. 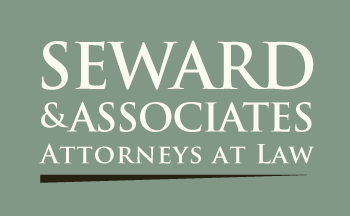 Basil Ward is a contributing author to this blog and is currently serving as an intern for the Law Offices of Richard D. Seward. Basil has been admitted to practice law as a Rule 9 Legal Intern in Washington State. Community property and marriage: who owns what?